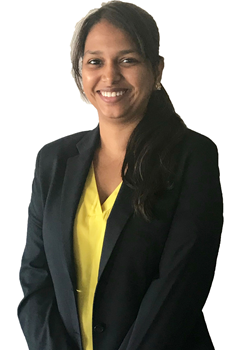 Pooja Gopi joined Synergy Global’s Graduate Finishing Program in February 2018, as an Effectiveness Intern. She is an international student from Gujarat, India, currently pursuing her Masters in Information Technology Business Analysis at Swinburne University in Australia. Pooja graduated from Gujarat Technological University with Bachelor Degree in IT. Then, she moved to Australia to understand the Business aspect of the IT & gain an overall understanding of the sector. She believes that incomplete knowledge is equal to no knowledge at all. Pooja brings with her people skills, effective communication skills & team management abilities from the work experience gained in hospitality sector. She is successful in maintaining a balance between study, work & her personal life. During her studies in Gujarat Technological University, she had organized numerous workshops & technical study sessions. While pursuing her Masters degree, Pooja has shown particular interest in Database Analysing, Business Modelling & in understanding contemporary issues in IT. She also has undertaken couple of accounting units that give her an understanding of the accounting side of any organization as well. She has fluency in MS Office, Java & Modelling Languages gained during her degree studies. She also has been involved in many University team projects, where she has excelled as a member as well as leader. Throughout her study/work life Pooja has been a keen learner & analyzer, which is what she is working forward in the future too. She is a very fun loving, energetic & positive person in the work place. Pooja is also good at prioritizing her responsibilities & quickly acting on it. She is also multilingual knowing: English, Hindi, Gujarati, & Malayalam. Learning about the field of Organizational Development (OD), particularly Professional Services & Business Culture. Understanding how Effectiveness Consulting, Change Facilitation & Executive Coaching can enhance Productivity. Gaining more knowledge by using distinctive tools/methods for Continuous Quality Improvement (CQI). Creating a Professional Role Profile, Individual Performance Plan (IPP) & Personal Development Plan (PDP). Using the SG Competency Framework to develop more confidence in my competences/capability as a Masters Intern. Improving the technological functionality of our existing system at Synergy Global & transferring my skills to the team.